1866-67; A hundred and fifty years ago, in the months leading up to Canada becoming a sovereign nation, the US had formulated a plan to annex and invade Canada. In the late 1920s, Washington formulated a detailed plan to invade Canada, entitled “Joint Army and Navy Basic War Plan — Red”. The plan was approved by the US War Department under the presidency of Herbert Hoover in 1930. It was updated in 1934 and 1935 during the presidency of Franklin D. Roosevelt. It was withdrawn in 1939 following the outbreak of the Second World War. Canada Day July 1st is an opportunity for Canadians to reflect on issues of national sovereignty. Territorial control over Canada has been part of Washington’s geopolitical and military agenda since the 1860s, following the end of the American civil war. Future Fast Forward: The plan to annex Canada to the USA is still on the books. 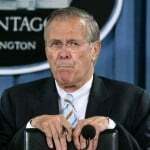 In April 2002, upon the creation of US Northern Command (USNORTHCOM), Defense Secretary Donald Rumsfeld put forth the concept of “Binational integration” of military command structures, alongside a major revamping in the areas of immigration, law enforcement and intelligence. 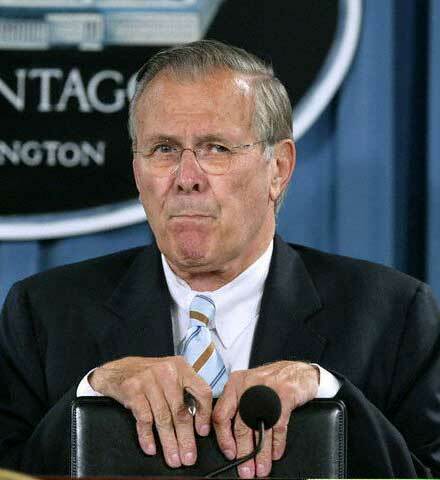 Rumsfeld also stated without consulting Ottawa, that the areas of territorial jurisdiction of USNORTHCOM on land and sea would extend into the Northwest territories and the Canadian Arctic. Moreover, territorial integration under the proposed North American Union and Security and Prosperity Partnership (SPP) (launched in 2005) would embody Canada (as well as Mexico) into the US Homeland Security apparatus. Broadly speaking, Washington would set the agenda for “integration” and would exert an overriding influence in developing the legal, political, economic, military and national security architecture of the proposed NAU. What is at stake is de facto annexation, where Canada would cease to function as a sovereign nation, relegated to the status of a US protectorate. The Conservative government in Ottawa has not only embraced the SPP, it is also actively supporting the US war agenda, its national security agenda and its “Global War on Terrorism”. In the last few years “Securing the North American Security Perimeter” has been viewed by Washington as a means to “bringing Canada into Fortress America”. Most Canadians are unaware that a Bill to Annex Canada into the US was introduced and adopted by the US Congress in 1866 prior to the 1867 Alaska Purchase from Russia. The Complete text of the 1866 Bill is contained in Annex to this article. It consisted in the outright confiscation of public lands. It also implied US control over the trans Canada railway system, waterways, canals as well as control over the Saint Lawrence seaway. The territorial division of British North America is outlined in the bill. The various constituent “Canadian states” would conform to US laws in setting up their legislature. While the 1866 Annexation project was stalled upon the adoption of the British North American Act in 1867, US plans to annex and/or invade Canada militarily have to this date remained on the books. In the late 1920s, Washington formulated a detailed plan to invade Canada, entitled “Joint Army and Navy Basic War Plan — Red”. The plan was approved by the US War Department under the presidency of Herbert Hoover (right) in 1930. It was updated in 1934 and 1935 during the presidency of Franklin D. Roosevelt. It was withdrawn in 1939 following the outbreak of the Second World War. Secretary of War Patrick J. Hurley (left below) was largely instrumental in the formulation and approval of Plan Red by the US administration. The plan to invade Canada consisted of a 94-page document “with the word SECRET stamped on the cover. It had been formulated over a period of over five years (See text in Annex). In February 1935, the [US] War Department arranged a Congressional appropriation of $57 million dollars to build three border air bases for the purposes of pre-emptive surprise attacks on Canadian air fields. The base in the Great Lakes region was to be camouflaged as a civilian airport and was to “be capable of dominating the industrial heart of Canada, the Ontario Peninsula” from p. 61 of the February 11-13, 1935, hearings of the Committee on Military Affairs, House of Representatives, on Air Defense Bases (H.R. 6621 and H.R. 4130). This testimony was to have been secret but was published by mistake. See the New York Times, May 1, 1935, p. 1. It is worth noting that in the course of World War II, a decision was taken by the War Department to retain the invasion plan on the books. War Plan Red was declassified in 1974. “A bold plan, a bodacious plan, a step-by-step plan to invade, seize and annex our neighbor to the north. …First, we send a joint Army-Navy overseas force to capture the port city of Halifax, cutting the Canadians off from their British allies. Then we seize Canadian power plants near Niagara Falls, so they freeze in the dark. Then the U.S. Army invades on three fronts — marching from Vermont to take Montreal and Quebec, charging out of North Dakota to grab the railroad center at Winnipeg, and storming out of the Midwest to capture the strategic nickel mines of Ontario. Meanwhile, the U.S. Navy seizes the Great Lakes and blockades Canada’s Atlantic and Pacific ports. … “(Raiding the Icebox; Behind Its Warm Front, the United States Made Cold Calculations to Subdue Canada, by Peter Carlson, Washington Post, 30 December 2005, emphasis added). The original documents pertaining to the invasion of Canada including “War Plan Red” and “Defence Scheme No. 1.” are in the archives of the US Army War College in Carlisle, Pa. The complete text of War Plan Red is contained in Annex III. The complete text of the Annexation Plan is contained in Annex I. The plan is detailed. It involves both military as well an intelligence components. The Canadian federal government and military were fully aware of these “Secret” US plans to invade Canada. In the 1920s, Lieutenant James “Buster” Sutherland Brown had been appointed Director of Military Operations and Intelligence in Ottawa to address the issue of Canada’s national security. His tasks consisted in developing contingency war plans in the case of a US attack against the Dominion of Canada. Under the helm of “Buster” Sutherland Brown (subsequently promoted to Brigadier), Canada’s response to US threats was formulated under “Defence Scheme No. 1”, a counterattack contingency plan, in the case of a US invasion. “Defense Scheme No. 1” was abandoned in 1931 by Canada’s chief of the general staff, A.G.L. McNaughton (following the adoption of “War Plan Red” in 1930) , on the grounds that “the Americans would inevitably win such a war” and there was no use in acting upon a contingency plan. Ottawa had caved in. The watershed decision by the Conservative government of Prime Minister R. B. Bennett which came to office in August 1930 to abandon a Canada national defense plan constituted a de facto recognition of US hegemony in North America. While the invasion of Canada under Joint Army and Navy Basic War Plan — Red was never carried out, the military threat of an invasion plan served to oblige Canada to ultimately surrender to US political and economic pressures. Let us remember on Canada Day, July 1st, that the greatest threat to Canadian national sovereignty emanates from US plans of “deep integration”, which are fully supported by the Harper proxy government. Occupying Halifax, following a poison gas first strike, would deny the British a major naval base and cut links between Britain and Canada. The plan considers several land and sea options for the attack and concludes that a landing at St. Margarets Bay, a then undeveloped bay near Halifax, would be superior to a direct assault via the longer overland route. Failing to take Halifax, the U.S. could occupy New Brunswick by land to cut Nova Scotia off from the rest of Canada at the key railway junction at Moncton. Occupying Montreal and Quebec City would cut the remainder of Canada off from the Eastern seaboard, preventing the movement of soldiers and resources in both directions. The routes from northern New York to Montreal and from Vermont to Quebec are both found satisfactory for an offensive, with Quebec being the more critical target. Occupying this region gains control of Toronto and most of Canada’s industry, while also preventing Britain and Canada from using it for air or land attacks against the U.S. industrial heartland in the Midwest. The plan proposes simultaneous offensives from Buffalo across the Niagara River, from Detroit into Ontario, and from Sault Ste. Marie into Sudbury. Controlling the Great Lakes for U.S. transport is considered logistically necessary for a continued invasion. Winnipeg is a central nexus of the Canadian rail system for connecting the country. The plan sees no major obstacles to an offensive from Grand Forks, North Dakota, to Winnipeg. Although Vancouver’s distance from Europe reduces its importance, occupying it would deny Britain a naval base and cut Canada off from the Pacific Ocean. Vancouver could be easily attacked overland from Bellingham, Washington, and Vancouver Island could be attacked by sea from Port Angeles, Washington. The following is a full-text reproduction of the 1935 plan for a US invasion of Canada prepared at the US Army War College, G-2 intelligence division, and submitted on December 18, 1935. This is the most recent declassified invasion plan available from the US archival sources. Centered pagination is that of the original document. The spelling and punctuation of the original document are reproduced as in the original document, even when in error by present-day norms. This document was first identified by Richard Preston in his 1977 book, “The Defence of the Undefended Border: Planning for War in North America 1867-1939” (Montreal: McGill-Queen’s University Press.) Preston’s reference citation (p. 277) identified this to be archived at the US Military History Collection, Carlisle Barracks, Pa., coded AWC 2-1936-8, G2, no. 19A. It was located by the US National Archives and supplied on microfilm. The military planning context of this document is War Plan Red, which was approved in May 1930 by the Secretary of War and the Secretary of Navy. War Plan Red and supporting documents are available from the US National Archives on microfilm, in the Records of the Joint Board, 1903-1947, Roll 10, J.B. 325, Serial 435 through Serial 641. In War Plan Red, the US Army’s theatre of operations is defined to be: “All CRIMSON territory” (p.80), and the US Army’s mission, in bold type: ULTIMATELY, TO GAIN COMPLETE CONTROL OF CRIMSON (p. 84). CRIMSON is the colour code for Canada. In 1934, War Plan Red was amended to authorize the immediate first use of poison gas against Canadians and to use strategic bombing to destroy Halifax if it could not be captured. In February 1935, the War Department arranged a Congressional appropriation of $57 million dollars to build three border air bases for the purposes of pre-emptive surprise attacks on Canadian air fields. The base in the Great Lakes region was to be camouflaged as a civilian airport and was to “be capable of dominating the industrial heart of Canada, the Ontario Peninsula” from p. 61 of the February 11-13, 1935, hearings of the Committee on Military Affairs, House of Representatives, on Air Defense Bases (H.R. 6621 and H.R. 4130). This testimony was to have been secret but was published by mistake. See the New York Times, May 1, 1935, p. 1. In August 1935, the US held its largest peacetime military manoeuvres in history, with 36,000 troops converging at the Canadian border south of Ottawa, and another 15,000 held in reserve in Pennsylvania. The war game scenario was a US motorized invasion of Canada, with the defending forces initially repulsing the invading Blue forces, but eventually to lose “outnumbered and outgunned” when Blue reinforcements arrive. This according to the Army’s pamphlet “Souvenir of of the First Army Maneuvers: The Greatest Peace Time Event in US History” (p.2). The following document is a declassified public domain document and may be freely reproduced. This should be of particular interest to people in the Halifx and Quebec City regions, then considered to be the most strategic cities in Canada. CRITICAL AREAS OF CANADA AND APPROACHES THERETO _______________________________________________ . II. The Study Presented. ___________________ Determine under the geographical factor, the critical areas in Crimson (Canada) and the best approaches thereto for Blue. A critical area is assumed to be any area of such strategic importance to either belligerent that control thereof may have a material bearing on the out- come of the war. III. Facts bearing on the study. __________________________ 1. General Considerations: An area in Crimson territory may be of strategic importance from the viewpoint of tactical, economic, or political considerations. In the final analysis, however, critical areas must be largely determined in the light of Red’s probable line of action and Crimson’s contribution to that effort. 2. Geographical Features of Canada. a. Location and extent. The location and extent of the Dominion of _ Canada is shown on the Map herewith (see Exhibit A). 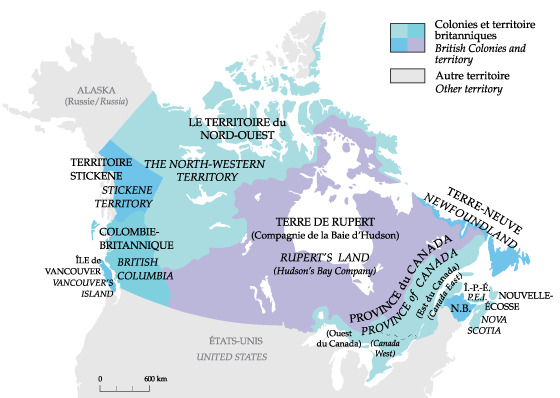 It comprises the entire northern half of the the North American continent, excepting only Alaska and the coast of Labrador, a dependency of the colony of New- foundland. The principal political subdivisions are those located along the border of the United States. These from east to west are: (1) The Maritime Provinces: Prince Edward Island. Nova Scotia. New Brunswick. (2) Quebec. (3) Ontario. (4) The Prairie Provinces: Manitoba. Saskatchewan. Alberta. (5) British Columbia. Newfoundland, while not a part of the Dominion of Canada, would undoubtedly collaborate in any Crimson effort. b. Topography. (Slide 14852) _ The great area in eastern Canada underlain by rocks of Precambrian age is known as the Canadian Shield. Its northern boundary crosses the Arctic archipelago; the eastern boundary lies beyond Baffin Island and Labrador, and reaches the depressed area occupied by the St. Lawrence, a short spur crossing this valley east of Lake Ontario to join the Adirondack Mountains of New York. The southern boundary runs from this spur west to Georgian Bay thence along the north shore of Lake Huron and Lake Superior, thence northwest from the Lake of the Woods to the western end of Lake Athabaska. Its average elevation does not exceed 1500 feet. The greatest known elevations are in the eastern part of Baffin Island and along the coast of northern Labrador. Peaks of the Torngat Mountains of Labrador have elevations of between 4000 and 5000 feet. The coast is one of the boldest and most rugged in the world, with many vertical cliffs rising 1000 to 2000 feet high. Occasional exceptions occur in which there are reliefs of several hundred feet, as in the hills along the north shore of Lake Huron and Lake Superior. The area is dotted with lakes, large and small, and of irregular outline. A lowland of considerable extent stretches for some distance into Ontario and Manitoba from Hudson Bay. Extending south and west form the Canadian Shield, between the Ap- palachian Mountains on the east and the Cordilleras on the west, lies the Great North American plain. The northeastern portion of this plain called the St. Lawrence lowlands occupies southern Ontario, south of a line ex- tending from Georgian Bay to the east end of Lake Ontario; eastern Ontario lying between the Ottawa and St. Lawrence rivers, and that part of Quebec lying adjacent to the St. Lawrence between Montreal and Quebec. The plain west of the Canadian Shield, known as the Interior Plains, stretches northward to the Arctic Ocean between a line approximately join- ing Lake Winnipeg and Lake Athabasca, Great Slave Lake and Great Bear Lake on the east, and the foothills of the Rocky Mountains on the west. New Brunswick, Nova Scotia and Prince Edward Island is an alternation of upland with hills and ridges rising 2500 feet and higher. Adjacent to the Bay of Fundy is a series of ridges rising in places to 1200 feet. Between these two New Brunswick uplands, which converge toward the southwest is a lowland forming the whole eastern part of the province. This lowland ex- tends east to include Prince Edward Island, the western fringe of Cape Breton Island and the mainland of Nova Scotia north of the Cobequid moun- tains, which have an elevation of 800 to 1000 feet. South of the Cobequid Mountains lies a long narrow lowland stretching from Chedabucto Bay to Minas Basin, and along the Cornwallis Annapolis valley between North and South Mountains. South of this lowland is a highland sloping to the Atlantic Coast. The northern part of Cape Breton Island is a tableland 1200 feet high with its central part rising to an elevation of over 1700 feet. The Cordelleran region, a mountainous area bordering the Pacific extends from the United States through Canada into Alaska and embraces nearly all of British Columbia and Yukon and the western edge of Alberta and the Northwest Territories. The eastern part of the Cordillera is occu- pied by the Rocky Mountains, with peaks rising to 10,000 feet and 12,000 feet. They extend northwest and fall away towards the Liard River. The western part of the Cordillera is occupied by the Coast Range and the mountains of Vancouver and Queen Charlotte Islands. The Coast Range rises to heights of 7000 to 9000 feet. Between the Rocky Mountains and the Coast Range lies a vast plateau 3000 to 4000 feet high and cut by deep river valleys. 3. Population. According to the census of 1931, the total population on June 1, 1931 was 10,376,786, of whom 5,374,541 were males. The inhabited areas of the Dominion are essentially confined to a narrow strip alolo the United States boundary, generally south of the 56th parallel of latitude west of the Lake Winnipeg, and south of the 49th parallel of latitude east of Lake Superior. Approximately 10% of the total population are found in the Maritime provinces, 61% in Quebec and Ontario, 23% in the Prairie Provinces and 6% in British Columbia. Of the present population, 51.86% are of British descent, 28.22% French, and the remainder of widely scattered nativity. 4. Climate. The climate of southern Canada is comparable to that of the northern tier of the states of the United States. The west coast of British Columbia tempered by the Pacific Ocean is mild and humid. The prairie provinces generally experience extreme cold weather from November to March, with heavy snow fall. The climate of southern Ontario, the St. Lawrence Valley and the Maritime Provinces is much milder that that of the prairie provinces, but freezing temperatures are general between the end of November and the first of April, and the ground is usually covered with between one and three feet of snow. Any extensive military operations in Canada between November 1st and April 15th would be extremely difficult, if not impossible. 5. Communications. a. Railways. _ There are only two railway systems in Canada, both crossing Canada east and west from the Atlantic to the Pacific. These lines generally parallel the United States border, in some instances crossing through the United States. (1) The Canadian national Railways system (See inclosure B) belonging to and operated by the government, has eastern terminals at Halifax, N.S., Portland, Maine (Grand Trunk), and through the Central Vermont, at Boston, New London and New York. Western terminals are Vancouver and Prince Rupert B.C. An extension from Cochrane, Ontario, to Moosonee, Ontario on James Bay, was completed by the Province of Ontario in July 1932, to connect with water routes to Churchill, Hudson Bay and with the northern route to Europe. (2) The Canadian Pacific system (see inclosure C) has its eastern terminus at Saint John, N.B. and it western terminus at Vancouver, B.C. As indicated by the systems maps, there are numerous branch lines serving the industrial and farming areas of the Dominion, and connecting lines ty- ing in with various railroads of the United States. From a military viewpoint, these railroads provide excellent trans- portation facilities for Blue, if invasion of Crimson is decided upon, and being located in close proximity to the border are, from the Crimson view- point, very liable to interruption. This is particularly true at Winnipeg some 60 miles north of Blues border, through which both transcontinental systems now pass. This fact probably encouraged Canada to construct the railroad from The Pass, Manitoba and develop the port at Churchill. Complete details concerning all railroads of Canada are contained in Appendix No. 1. b. Highways. _ In recent years Canada has greatly increased and improved her road con- struction and while there are enormous stretches of country, particularly in the northern portion of the Dominion, with few or no roads, the southern portion is well served with improved roads. A number of transcontinental motor roads are under construction or projected, the most important being the “Kings International Highway” from Montreal to Vancouver, via Ottawa, North Bay, Sudbury, Sault Ste. Marie, Winnipeg, MacLeod, Crow’s Nest Pass, Fernia and Cranbrook. Another highway is being constructed from Calgary to Vancouver. The principal roads in Ontario, Quebec and the Maritime Provinces are shown on Inclosure D, herewith. Roads in the Prairie Provinces and British Columbia are shown on inclosure E. The majority of improved roads are classified as gravel; macadam and concrete construction amounting to only 7870 miles out of a total of some 95,000 miles improved. Gravel roads will require extensive maintenance under heavy motor traffic, especially during the spring. c. Water Transportation. _ (1) Inland Waterways. The Great Lakes, with the St. Lawrence River, is the most im- portant fresh water transportation system in the world. At the present time it affords a draft of 21.0 feet over all the Great Lakes and through the Welland Canal into the St. Lawrence. From the Atlantic Ocean to Mon- treal, the present head of ocean navigation on the St. Lawrence, a draft of 30.0 feet is available, adequate for the great majority of ocean shipping. For some distance above Montreal the present channel has an available depth of only 14.0 feet. The inland waterway is of prime importance to the economic life of both the United States and Canada for the transportation of bulk com- modities, especially for the movement of wheat from the western plains to shipping centers on the eastern seaboard; of iron ore from the mines in Minnesota to foundaries along Lake Ontario; and for coal from the mines of Pennsylvania and West Virginia to Ontario, Quebec and the northwest. Note: The above figures do not indicate amount of commerce; Register tons ______ are gross tons. (Namely cubical contents in cubic feet divided by 100) less deductions for crews space, stores, etc. to Europe, via Churchill is from 500 to 1000 miles shorter than the rail- water route via Montreal. In case Red is denied the use of the Atlantic or Pacific ports, or both, Churchill will afford an outlet for grain and meat products from Ontario, Manitoba and Sasketchewan and an inlet for mili- tary supplies and troops from Europe unless the northern trade route through Hudson Strait is controlled by the Blue fleet, and this is improbable. d. Air Transportation (Civil). _ During 1933 there were 90 commercial aircraft operators in Canada. Their activities included forest file patrols, timber cruising, air photo- graphy, transportation of passengers, express and mail, etc. To encourage a more widespread interest and knowledge of aviation the Department of National Defense, since 1928, has issued two light air- planes and made certain grants to each of 23 flying clubs and a large air terminal has been built at St. Hubert, seven miles south of Montreal and a terminal airdrome at Rimouski, Quebec for the reception of trans-atlantic mails. At the close of 1934 there were 101 air fields of all types, 368 civil aircraft and 684 licensed pilots in Canada. Some details of airports in New Brunswick and Nova Scotia are given in a letter from the Office of the Chief of Air Corps, herewith. (See inclosure F) e. Telephone and Telegraph. _ (1) Cables. Six transoceanic cables have termini in Canada, five on the Atlantic and one on the Pacific. The Atlantic cables are landed at Halifax, though several of them are routed through Newfoundland. The Pacific cable lands at Vancouver from whence a cable also leads to the United States. (2) Radio. A transoceanic commercial radio beam service is carried on by a station at Drummondville, Quebec, with Australia, Great Britain and the United States. In 1932 a direct radio telephone circuit with Great Britain was opened through the medium of this beam station. (3) General. Canada is well supplied with local telephone, telegraph and radio service. Interruption of Canada’s trans-oceanic telegraph and radio service will seriously handicap Red-Crimson cooperation. 6. Other Economic Factors. a. Agriculture. _ Agriculture, including stock raising and horticulture, is the chief single industry of the Canadian people. Canada is not only self-sustaining, as far as food is concerned, but has a large excess for export. Food pro- duction is varied and so distributed throughout the dominion that each section is practically self-sustaining and cutting her off from the outside would would mere serve to deny her people certain luxuries, such as coffee, tea, sugar, spices and tropical fruit. The Maritime Provinces are noted for their fruit and vegetable crop, particularly for the oat and potato crops of Prince Edward Island and New Brunswick and apples in Nova Scotia. Quebec and Ontario are mixed farming communities with the Niagara peninsula specializing in fruit. Manitoba, Saskatchewan and Alberta are the principal wheat producing centers, with other grains and stock raising of increasing importance. The rich valleys of British Columbia produce apples, other fruit and vegetables. Iron and Steel. Canada ranks seventh among the nations as a producer of iron and steel but only a small percentage of her production is derived from domestic ores, in view of the abundant supply of higher grade ores in Newfoundland and Minnesota. The Wabana section of Newfoundland contains the largest known single deposit of iron ore in the world. There are large iron ore deposits in Quebec, northern Ontario and British Columbia but for various reasons they are handicapped for blast furnace treatment. Iron and steel are produced in Nova Scotia (Sydney) and in Ontario. Iron ore is obtained from the Mesabi Range in Minnesota, via the Great Lakes and from Newfound- land. (See slide 14856) The bulk of iron and steel products, however, are imported, principally from the United States and the United Kingdom. Lead. Lead is obtained in Canada largely from deposits in British Columbia, the largest porting being exported to England. Nickel. The world production of nickel in 1933 was about 50,736 tons, of which about 82% originated in the Sudbury district, north of Georgian Bay in Ontario. The remainder came chiefly from New Caledonia (Fr.). A new deposit of nickel was recently discovered in northern Saskatchewan but has not yet been worked. Nickel is necessary to industry and indispensable in war. Control of the Sudbury mines, in case of war, is therefor of vital importance. Petroleum. The production of crude oil or petroleum in Canada during 1934 amounted to 1,417,368 barrels, principally from the Turner Valley field in Alberta. A small amount is also obtained from wells near Monkton, New Brunswick and in southwest Ontario, between Lake Huron and Lake Erie. Considerable quantities are also imported from the United States. Zinc. Canada ranks fourth among the worlds producers of zinc. Her out- put in 1934 totaled 298,579,531 pounds. The principal industries ranked according to gross value of products (1932) are: Pulp and Paper $123,415,492. Central Electrical Stations 117,532,081. Non-ferrous metal smelting 100,561,297. Slaughtering and meat packing 92,366,137. Flour and food mills 83,322,099. Butter and Cheese 80,395,887. Petroleum Products 70,268,265. Bread and other bakery product 51,244,162. Cotton yarn and cloth 51,197,628. Printing and publishing 50,811,968. Clothing factory, women’s 44,535,823. Automobiles. 42,885,643. Rubber goods. 41,511,556. Hosiery and knitted goods 40,997,210. Sawmills. 39,438,057. (2) Munitions. (a) Aircraft. There are at present six firms manufacturing aircraft as follows: Canadian-Vickers……………Montreal, Que. De Haviland………………..Toronto, Ont. Curtis Reid………………..Cartierville, Que. Fairchild………………….Longueuil, Que. Boeing…………………….Vancouver, B.C. Ottawa Car Mfg. Co………….Ottawa, Que. Aero engine factories have been established by: Armstrong-Siddeley Motors Co. at Ottawa, Que. Aero Engines of Canada at Montreal, Que. Canadian Pratt-Whitney Aircraft Co. at Longueuil, Que. (b) Miscellaneous. During the World War Canada demonstrated her ability to divert her peace time industries to the production of munitions, when she manufactured and exported large quantities of shells, fuses, cartridge cases, explosives, gun forgings, machine guns and small arms ammunition. This production could not be obtained in case of war with Blue but some munitions could be produced if her factories were free to operate and raw materials were available. The government arsenal at Lindsey, Ont., is equipped to produce small arms ammunition and the arsenal at Quebec manu- factures some small arms and artillery ammunition. e. Commerce. _ Analysis of Canada’s industry and resources indicate that she has a sufficiency or surplus of certain raw materials but a deficiency of others. The more important of these materials are as follows: (1) Sufficiency or surplus; Arsenic, asbestos, cadmium, cobalt, copper, feldspar, fish oil, fluospar, foodstuffs, furs, gold, graphite, gypsum, lead, leather, magnesium, mica, nickel, silver, talc, wood and zinc. (2) Deficiency; Aluminium, antimony, bauxite, barytes, camphor, chromite, coal, cotton, flax, hemp, iron, jute, kaolin, manganese, mercury, nitrates, phosphate, petroleum, opium, quinine, rubber, silk, sugar, sulphur, tea, tin, tobacco and wool. The equipment consists of some 84 combat planes with probably 20 on order. (G-2 estimate) The Armaments Year Book, League of Nations, gives a total of 166 planes of all kinds and the Statesman Year Book, 1935 gives 189 planes of all kinds. It is probable that about one squadron of pursuit and one squadron of observation could be organized for immediate service. e. Comment. _ The location of Canada’s industry and population along a narrow extent front facing the northern United States border and her relatively weak military and naval forces, widely dispersed, will necessitate a defensive role until Red forces are landed. The promptness and effectiveness of British aid must depend upon suitable debarkation points on Canada’s east coast. The West Coast does not favor overseas operations unless Red controls the Pacific, and even then is too remote from critical Blue areas. f. Red Reinforcements. _ Various estimates have been made of the size, composition, and time of placing Red reinforcements in Canada. In any such estimate, the time factor is of prime importance but depends on an unknown quantity, viz, “the period of strained relations.” The following estimate is considered conservative: Probable Enemy Forces in Canada _______________________________Empire Days after Crimson (Less Crimson) Total M Day men Div. Men Div. Men Divisions 15 25,000 5 — — 25,000 5 30 50,000 5 — — 50,000 5 60 50,000 5 126,000* 8 176,000 13 90 50,000 5 203,000 13 253,000 13 120 50,000 5 238,000 16 288,000 21 150 50,000 5 255,000 16 305,000 21 180 90,000 6 255,000 16 345,000 22 *Under certain conditions this force might be landed in Canada by 30 M.
Air Forces. __________ Red has available at once 48 squadrons of 10 to 12 planes each. The following forces can probably be landed in Canada as indicated. 10 M 13 squadrons. 30 M 30 squadrons. 60 M 41 squadrons. 90 M 56 squadrons. 120 M 74 squadrons. f. Conclusion. _ Crimson cannot successfully defend her territory against the United States (Blue). She will probably concentrate on the defense of Halifax and the Montreal-Quebec line in order to hold bases of operation for Red. Important secondary efforts will be made to defend her industrial area and critical points on her transcontinental railroad lines. c. The Great Lakes Area. _ (1) Niagara River Area. (2) Sarnia-Windsor Area. (3) Sault Ste. Marie Area. (4) Sudbury Area. d. Winnipeg Area. _ (1) Winnipeg City and vicinity. (2) Churchill, Manitoba Area. e. Vancouver-Victoria Area. _ (1) Ports of Vancouver and Victoria, area. (2) Prince Rupert area. f. The reasons why these various areas are strategically important may be _ briefly summarized as follows: (1) Halifax Monkton St. John Area. (Maritime Province) The port of Halifax is the key point in the area, for while the port of St. John affords excellent facilities for an overseas expedition, it is so close to the United States border that uninterrupted use by Red cannot be expected. At Monkton, the peninsula connecting Nova Scotia and the mainland narrows to 14 miles. With Halifax in possession of Crimson, this area affords the best defensive position to prevent any advance west- ward by Red. (a). Control of Halifax by Blue would: 1. Deny Red the only ice free port on the east coast and the _ only ports, other than the St. Lawrence River ports, suitable as an overseas base. 2. Deny Red a prepared naval base on the east coast, from which _ to operate against Blue naval forces or commercial shipping. 3. Disrupt transoceanic submarine cable service between Crimson _ and Red (except from Newfoundland) and between Crimson and the West Indies. 4. Deny Red the use of certain air bases from which to operate _ against northeastern United States. (b) The control of Halifax by Blue, renders the Port of St. John and the Monkton area of secondary importance. Failing to secure Halifax _______ control of the Monkton area by Blue would: ___________________________ 1. Deny Red the use of St. John Harbor. _ 2. Cut the lines of communication between the port of Halifax _ and St. John and the remainder of Canada. 3. Place Blue directly across the only line of advance (by _ Red) from Halifax, on the shortest possible defensive line. 4. Deny Red the use of certain air bases from which to operate _ against northeastern United States. 5. Give Blue the use of various small air fields at Monkton _ and St. John. (2) Montreal – Quebec Area (St. Lawrence River Area). The ports of Montreal and Quebec, while ice bound about four months of the year, still afford the best overseas base both as to facilities and location. In addition the area is of great commercial importance in that it controls all lines of communication, by land, sea and wire between in- dustrial and agricultural centers of Canada and the eastern seaboard. While Montreal has the larger and more commodius harbor and terminal facilities, Quebec, due to its physical location, is the key point of the area. Control of this area by Blue would: (a) Deny the use of all good St. Lawrence River ports to Red. (b) Cut all Canada, west of Quebec, viz. industrial, and agricult- ural centers from the eastern seaboard. Vancouver – Victoria Area. As pointed out above, the ports in this area are of secondary im- portance only under the conditions, which may reasonable be assumed. How- ever, the area has certain military importance, due to the naval base at Esquimalt, and is a possible outlet for the Canadian plan provinces and western Canada. Its control by Blue would deny the enemy any base or outlet on the West Coast; simplify the problem of protecting our shipping in the Puget Sound area; and interrupt cable communication with the far east. While Prince Rupert, B.C. has an excellent harbor and terminal facilities with good rail connections leading east, naval blockade of this port would be readily possible, once the Vancouver – Victoria area was in Blue control. 9. Routes of Approach to the Areas of Strategic Importance. a. Halifax – Monkton – St. John Area (Maritime Provinces) (Incls. D & H). _ Three possible routes of approach are considered, viz: (1) Via water from Boston or New York to Halifax or vicinity. (2) Via water from Boston or New York to ports in Western Nova Scotia and thence overland to Halifax. (3) From Eastern Maine, via St. John and/or Fredericton to Monkton – Amherst – Truro to Halifax. b. Discussion of Routes of Approach to the Halifax – Monkton – St. John _ (Maritime Province) Area. (1) The distance by water from Boston to Halifax is 370 miles and from New York 600 miles, or in time about 30 or 50 hours respectively. The Port of Halifax is fortified and would undoubtedly be mined. A frontal attack would require a large force and would involve undesirable delays. Other developed ports of Nova Scotia on the Atlantic are too distant from _________ Halifax and involve a long advance after a landing is effected and this advance would be over difficult terrain. A number of undeveloped bays along the east shore offer favorable conditions for landing operations and of these, St. Margarets Bay, the near- est, being some 16 miles by road west of Halifax, appears satisfactory. Deep water, with a minimum depth of 7 fathoms extends nearly to the head of the Bay, not far from Hubley and French Village, which are on an improved road and on the railroad from Yarmouth to Halifax. The bay is protected from all winds and seas, except those from the south and is of sufficient size to harbor any fleet required for the expedition. The All Land Route via Eastern Maine. This route involves an advance from the Maine border of approximately 320 miles over difficult terrain. The St. Johns River, rising near the border of northern Maine, flows south just east of the Maine – New Brunswick border to Woodstock, thence generally southeast through Fredericton to St. John. It is navigable from the mouth to the falls some distance above Woodstock, N.B. The average tidal range at St. John is 20 1/2 feet, decreasing up stream. The river is crossed by a highway and a railroad bridge at Fredericton, each nearly 1/2 mile long. Two other bridges, a cantilever railroad bridge and a suspension bridge span the river about one mile above the city of St. John. There are numerous ferries operating alone the river. It is apparent that the St. John River is a serious obstacle to any advance overland from Maine. While the St. John could be bridged, such operations would result in considerable delay. The only practicable routes of advance for Blue, into this area, are from northern New York, New Hampshire and Vermont and from northwest Maine. (See map) (Incl. K) (1) Rivers. (a) The St. Lawrence River flanks the left side of all routes of approach to Quebec. From Montreal to Three Rivers it flows through an alluvial plain, with the south bank 25 to 75 feet above the river. Below Three Rivers the banks increase steadily in height to Quebec, where they are 140 to 175 feet high. The normal rise and fall of the river above the tidewater is 10 feet but this maybe doubled by ice jams. Tidal range reaches a maximum of 18 feet at Quebec, and practically disappears at Richelieu Rapids 40 miles above Quebec. The river above Quebec is obstructed by ice from November to April but ice breakers can get through. The river from Quebec to Montreal, generally about 1/2 to 2 miles wide (except at Lake St. Peter) is navigable on a 30′ draft to Montreal. The distance from Quebec to Mon- treal is 160 miles. In the area south of the St. Lawrence, between Quebec and Mon- treal, are several rivers of importance which will naturally influence any plans for an advance on Quebec, viz: Richelieu River St. Francis River Nicolet River Becancour River Chaudiere River Etchemin River Other streams will create obstacles of lesser importance. (b) The Richelieu River flows north from Lake Champlain to enter the St. Lawrence about 35 miles north of Montreal. It is navigable on a 6 1/2 foot draft throughout its length. (c) The St. Francis River rises in St. Francis Lake some 50 miles northwest of Jackman, Maine. It flows southwest to Lennoxville, Quebec, where it turns sharply northwest to flow into the St. Lawrence (Lake St. Peter). Headwaters are controlled. The regulated flow is some 3000 feet per second or more, with an average fall of 6.6 feet per mile. It is not fordable below Sherbrooke. (d) The Nicolet River rises in Nicolet Lake, 8 miles west of Lake Alymer, and flows generally northwest to empty into the St. Lawrence at the east end of Lake St. Peter. The average low water flow is about 2000 feet per second. Banks in the upper reaches – hilly wooded terrain – are steep and from 200 to 500 feet higher. The average fall is about 21 feet per mile but there are a number of dams. From Arthabaska to Lake St. Peter the stream flows through a flat open country, with banks 25 feet high or less, except for a gorge starting about 4 miles north of St. Clothilda and ending 3 miles from Lake St. Peter. The river is not a serious obstacle but there are many swampy areas between it and the Becancour River. (e) The Becancour River rises about 5 miles northwest of Lake St. Francis and flows north, then southwest, then northwest to enter the St. Lawrence a few miles below Three Rivers, Que. The lower reaches of the river, below the vicinity of Lyster, Que, flows through generally flat country of gentle slope. The stream averages 300 to 400 feet wide and is fordable at few places. From Maddington Falls to within 3 miles of the St. Lawrence the river flows through a narrow gorge 100 to 250 feet below the surrounding flat country. The river is not a serious obstacle to an advance on Quebec, by reason of the general direction of flow in its lower reaches and the characteristics of the country. (f) The Chaudierre River rises in Lake Megantic, about 45 miles west of Jackman, Maine and flows generally north into the St. Lawrence, op- posite Quebec. From Lake Megantic to Hersey Mills, it flows swiftly between steep banks in a narrow valley. The adjacent terrain is rugged and heavily timbered. From St. George to Valley Junction the valley widens materially and the country is less rugged. Below Valley Junction the river flows through gentle undulating country between relatively low banks. (4) Railroads. The railroads available are shown on inclosures “B” and “C.” They are entirely adequate for any probable movement against this area. (5) Discussion of routes. (a) Northern New York – Vermont to Montreal Roads: No. 9 from Plattsburgh to St. Lambert and South Mon- treal. Distance 69.2 miles, all paved. No. 7 from Burlington, Vt., via St. John, Que. to St. Lambert or South Montreal. Distance 94.2 miles, all paved. There is a bridge across the Richelieu River at St. Johns. There are two highway bridges across the St. Lawrence at Montreal. Railroads: Delaware and Hudson – Albany to Montreal. New York Central – Malone to Montreal. Rutland and C.P. – Burlington to Montreal. Central Vermont and C.N. Montpelier to Montreal. Comments: The terrain is favorable and no physical barrier to the advance as far as the St. Lawrence, except the crossing of the Rich- elieu River, for a force moving from Vermont. An advance on Quebec from Montreal is possible, but offers the longest route, with many rivers per- pendicular to the line of advance (down the St. Lawrence) which offer excellent defensive positions. (b) Northern Vermont and New Hampshire to Quebec. Physical features: The Richelieu River on the west and the Chaudiere and Etchemin Rivers on the east tend to delimit the zone of advance. Roads: No. 5 – Newport, Vt. to Sherbrook then No. 7 to Valley Junction to the highway bridge on the St. Lawrence and to Quebec, or via No. 23 from Scott Junction to Levis, Que and the ferry to Quebec. Distance 212.5 miles from Newport, Vt. All improved road, mostly gravel. Some of the road through the hilly country is paved. No. 5 from Sherbrooke via Victoriaville is an alternate route. No. 23, Jackman, Maine – Valley Junction – Levis. This dis- tance is 109 miles. The road is improved and about 50% paved. It is the shortest route. It crosses the Chauderie and Etchemin Rivers. There are numerous alternate routes and connecting roads. Railroads: Canadian Pacific – Newport to Quebec. Canadian Pacific – Jackman via Megantic to Quebec. Canadian National – Portland, Me., via Sherbrooke to Quebec. Comments: While the terrain in this sector is hilly verging on the mountainous, with several defiles and river crossings, it offers the short- est and best route of advance on Quebec. Roads: The road net approaching the Niagara River from the United States and leading across the river into southern Ontario and through Hamilton to Toronto and Montreal, is one of the best along the inter- national boundary and is entirely adequate for any probably movement. Railroads: The Canadian Pacific and the Canadian National rail- roads have a network of railways connecting Buffalo with Toronto and points east. Branch lines lead to all important parts of the Niagara peninsula. Comment: The crossings over the Niagara River should be promptly secured to assure a line of advance into the Niagara Peninsula of Ontario. (2) The Detroit – Port Huron Area. This area has much the same characteristics as the Buffalo Niagara River Area but beyond securing the crossings over the boundary waters, sufficient area to cover the Great Lakes water routes against Crimson interference is essential. Crossings: Ambassador Bridge – Detroit – Windsor. Two tunnels (one railroad) Detroit – Windsor. Numerous ferries. Railroads and roads: There is an excellent railroad and road net available for any advance eastward from Detroit and Port Huron. Comment: The Ontario Peninsula is of great industrial importance to Canada and a military area of great strategic value, as a base for air or land operations against the industrialized areas between Chicago and Buffalo. Any Blue operations should advance via Buffalo – Niagara Falls and Port Huron – Detroit simultaneously. (3) Sault Ste. Marie – Sudbury Area. The best route of approach to the Sudbury area, about 200 miles east of the Soo, is obviously via Sault St. Marie, along the north shore of North Channel. An operation along this route, automatically covers the Soo. The Canadian Pacific railroad and one good gravel road leads east from the Soo. These provide ample facilities for supply of the probable force required. The southern flank of this line is protected by North Sound and the north flank by rough heavily wooded terrain entirely devoid of roads or other communications suitable for the movement of armed forces. (4) Winnipeg Area. The main route from the United States to Winnipeg is north from Grand Forks and Crookston through Emerson. A main road follows the west bank of the Red River, from Emerson into Winnipeg. A good hard sur- face road from Grand Forks and one from Crookston furnishes a suitable road net south of the border. There are several secondary roads on both sides of the border to supplement the hard surface roads. The Canadian Pacific has two main lines extending north from the border, one leading from Fargo through Gretna along the west bank of the Red River, and one from Thief River Falls, through Emerson along the east bank of the Red River. The Canadian Northern has a line from Grand Forks through Emerson Junction to Winnipeg on the west bank of the Red River and another line connecting with Duluth and extending through Warroad to Winnipeg. The best and only practicable route of approach is obviously north from Grand Forks and Crookston. The terrain is flat and open and offers no natural obstacles to an advance. Churchill, on Hudson Bay, has rail connection by the Canadian National system at Hudson Bay Junction about 325 miles northwest of Winni- peg. The best and only route of approach to cut this line is along the railroad from Winnipeg. (5) The Vancouver Area (Vancouver – Victoria) (See Incl. E & L) (Omitted) The best practicable route to Vancouver is via Route 99 through Bellingham, a distance of 55 miles and over a paved highway, through wooded and farming country. A secondary and longer route lies about 15 miles fur- ther to the east running through Sumas to strike the highways running east from Vancouver at the meridian of Mission City. The Grand Trunk Railroad extending from Vancouver to Seattle fur- nishes a satisfactory rail service. Victoria and Esquimalt, on the island of Vancouver can be reached by water only. Ferry service is maintained between Vancouver and Nanaimo on the east shore of the island, some 50 miles north of Victoria and between Vancouver, Burlingham and Port Angeles and Victoria. The best route of ap- proach is by water from Port Angeles, Washington. IV. Conclusions: ___________ a That the critical areas of Canada are: _ (1) The Halifax-Monkton-St.John Area (The Maritime Provinces). (2) The St.Lawrence Area (Quebec and Montreal). (3) The Great Lakes Area. (4) The Winnipeg Area. (5) The Vancouver Area (Vancouver and Victoria). b. That the best routes of approach to these areas are: _ To (1) By joint operations by sea from Boston. (2) From Northern New Hampshire-Vermont area. (3) (a) From Sault St. Marie and the Soo Locks Area. (b) From Port Huron – Detroit Area. and (c) From the Buffalo-Niagara Falls Area. (4) From Grand Forks-Crookston through Emerson. (5) Along Puget Sound through Everett and Bellingham, supported by an attack by water in Puget Sound. VI. Concurrences. ____________ The committee concurs in the foregoing conclusions. CHARLES H. JONES Major, Infantry, Subcommittee Chairman.